©2019 ProfessionalAprons.com, All Rights Reserved. 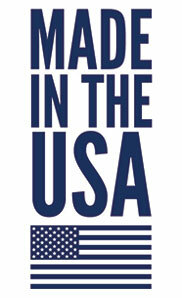 Professional Aprons has always maintained the philosophy American First. We strive to find domestic suppliers for all of our needs whether for fabric, trim, buttons, thread, boxes, bags, and any other raw material needed. Recently, ProfessionalAprons was able to help a plastics injection molding business produce a line of products for our slide adjustment neck, all right here in the USA! There are a few products that we are not able to source here in the USA, but we will continue to look for suppliers for those items as well! Any orders shipping for embroidery, screen printing, or embellishment purposes must be fully inspected for accuracy. Professional Aprons does not accept returns for altered garments, even in the case of shipping errors. Professional Aprons reserves certain rights pertaining to manufacturing, which include, but are not limited to, fabric, size, color, and sewing variances. *Order quantity should be placed using increments of 40 pieces per style, per color, per size. All other variations must be approved by the Professional Aprons Sales Department. *Professional Aprons only accepts a fixed amount of custom work. *Custom fabric programs require all fabric to be used. Overage/shortage may be higher on these orders. Turnaround times will also vary. Please contact a Professional Aprons sales representative for complete information. *Professional Aprons does not guarantee the quality of custom ordered fabrics. Custom fabrics may experience bleeding, crocking, fading, shrinking, and other various problems. Professional Aprons recommends ordering custom garments using Professional Aprons stock twill fabrics to avoid these issues. Professional Aprons has a very high success rate of on time, correct shipments. If an order is shipped incorrectly, Professional Aprons will reship the order with the correct garments via the same ship method as the original order. The distributor will only be responsible for freight for one shipment. If an order is placed via phone, Professional Aprons will not be responsible to pay for the freight on the returned merchandise and the distributor may be required to pay for the original freight as well. Faxed and emailed orders are guaranteed for accuracy and Professional Aprons will assume full responsibility for the original freight amount and issuing a call tag for the return. Professional Aprons provides drop shipment services for uniform distributors. Drop shipment packages will be shipped using Professional Aprons packaging and will contain a generic packing slip. All drop shipments will show the distributor as the shipper unless otherwise requested.